This is a nursery rhyme in repetitive form (the text stays same for every turn, with only a small part of a verse change every time). 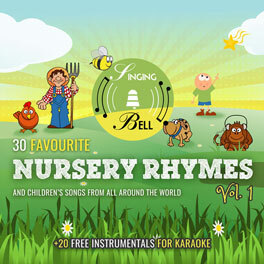 As with all Finger Family songs, Singing Bell’s version presents all 5 fingers of a hand as a family with five members. 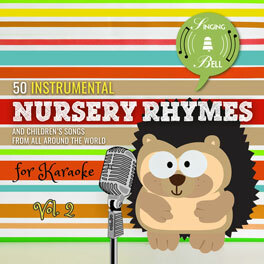 You can find the same “repetitive” form in other kids songs, like “Baby Bumblebee”, “If You’re Happy and You Know It”, “Rain, Rain, Go Away”, “Wheels on the Bus”, “Old MacDonald had a Farm” and “Five Little Monkeys”. To buy your vocal version of “Finger Family” (player below), click here. To save this free music sheet of “Finger Family” to your computer, right click and choose “Save Image As…”. To save this free music sheet of this song to your computer, right click and choose “Save Image As…”. To watch the karaoke video of this song on your tablet, smartphone or other mobile device, click on the following link to download the video file (mp4 format). 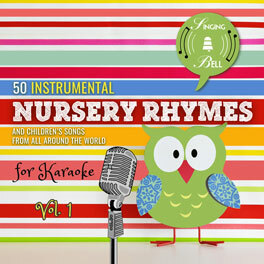 Tags: 4/4 meter, Baby Songs, Chords: 3 chords, Counting, England, Europe, Fingerplays, Karaoke, Kindergarten, Major, Nursery Rhymes, Sing-Along, U.K.